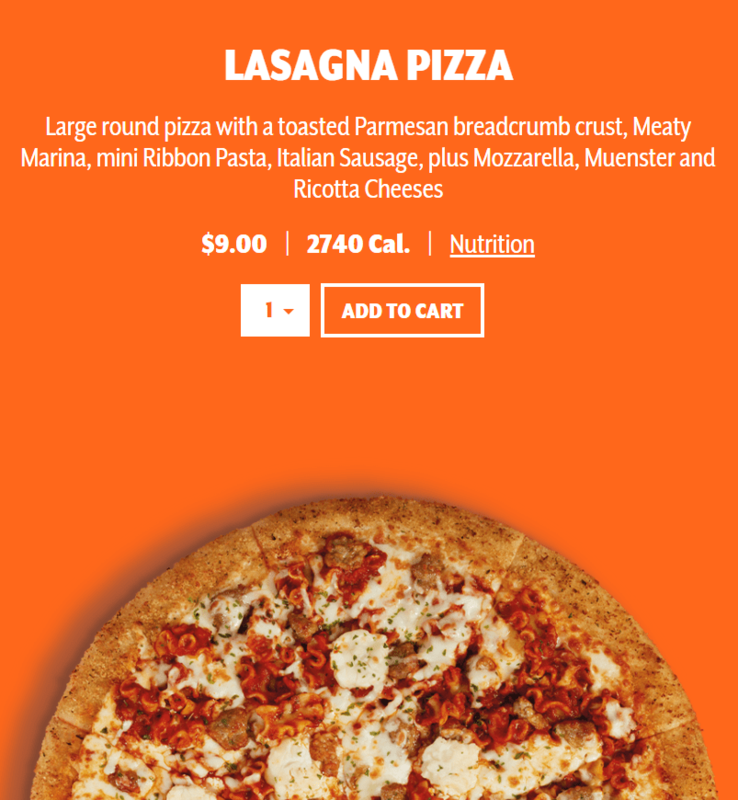 If Garfield were real, he would be all over this new pizza that Little Caesars just low-key developed. Right now, they appear to be testing a Lasagna Pizza that actually comes topped with pasta. Redditor ragenx first spotted the pie, and took to the platform to see if anyone else had tried it to get their feedback. Since then, another Reddit user found it in Pooler, Georgia, while Chewboom reported that the pizza had also been seen in Ohio and West Virginia. Ordering online at the Georgia location reveals the pizza being sold for $9. 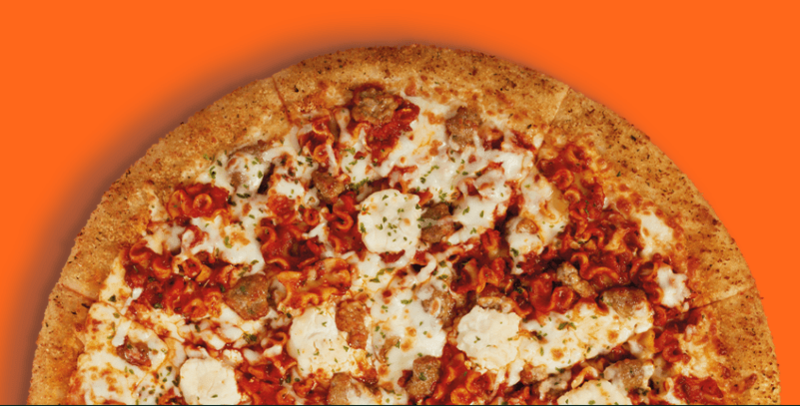 It comes topped with mini pasta ribbons, meaty marinara, Italian sausage, and a blend of mozzarella, Muenster, and ricotta cheeses. The entire pie is surrounded with a toasted Parmesan breadcrumb crust. While it's not the same as having actual layers of lasagna on top of a pizza a la EpicMealTime, it's still a hefty creation in its own right that merits trying at least one slice. We've reached out to Little Caesars to get more information on availability and locations where the Lasagna Pizza are available, and have yet to hear back as of press time.